The CC is on a new set of rollers again… This time, 5×130 19×8.5 +48 Fuchs-inspired “HPO-310” wheels from Hartman Wheels in their new matte-silver finish. They are bolted up using TrakPlus® wheel adapters from H&R. … and 15mm out back. 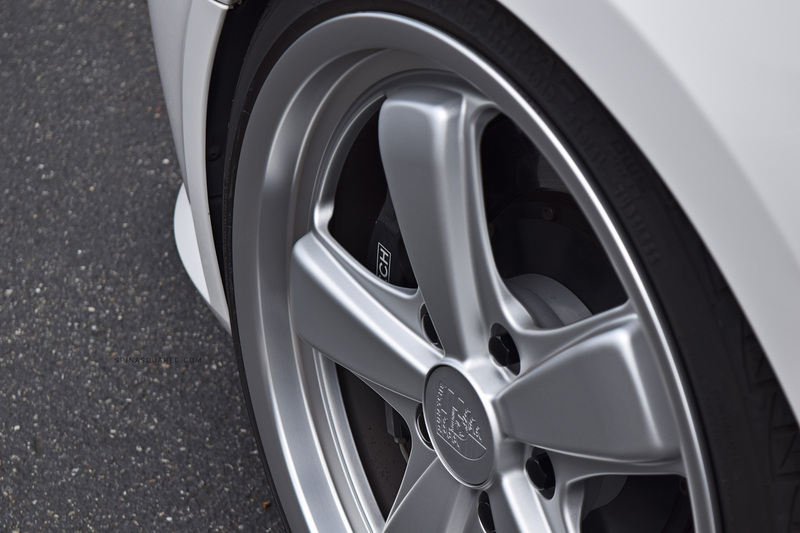 The adapters come with hardware that bolts them to the 5×112 pattern hub of the CC while press-in studs accommodate the 5×130 Porsche fitment Hartmann Wheels. The Fuchs style is without a doubt our favorite look on the CC to date. And despite previously entertaining the idea of moving on with a new project, it’s looking like we’re going to continue with this one… For now. Agreed, those are the best looking wheels you’ve had on the CC yet.